We pack each item separately with care, and ship Mon/Tues/Wed via USPS Priority Mail (2-3 day delivery) to ensure freshness. 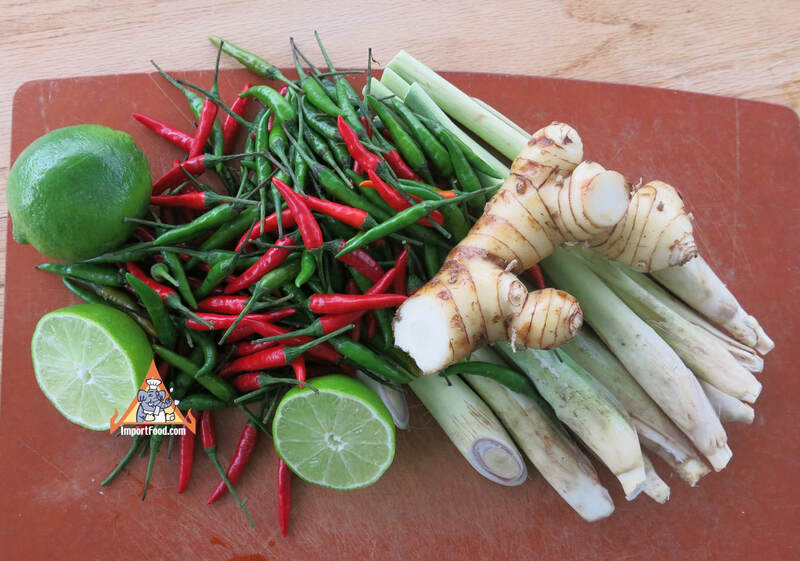 We also offer Fresh Kaffir Lime Leaves separately in addition to Thai basil, green papaya, shallots, and Thai eggplant. ImportFood.com's fresh Thai produce is recommended by Mark Bittman (New York Times) and was mentioned as a Saveur Magazine Top 8 Christmas Gift. Please Note: Produce ships via USPS (2-3 Day) so please provide an address that can be used for USPS delivery. If you order only fresh produce, select "$0.00" as shipping charge at checkout (because the price above includes shipping). If you order fresh produce and any other items, you must checkout with "Ground" as the shipping method, and you will receive the other items separately. Any questions about shipping, if you need a definite delivery date, delivery times, or anything else please call toll free 888-618-THAI.